Hamilton May is pleased to present a comfortable apartment in the '19 Dzielnica' settlement. 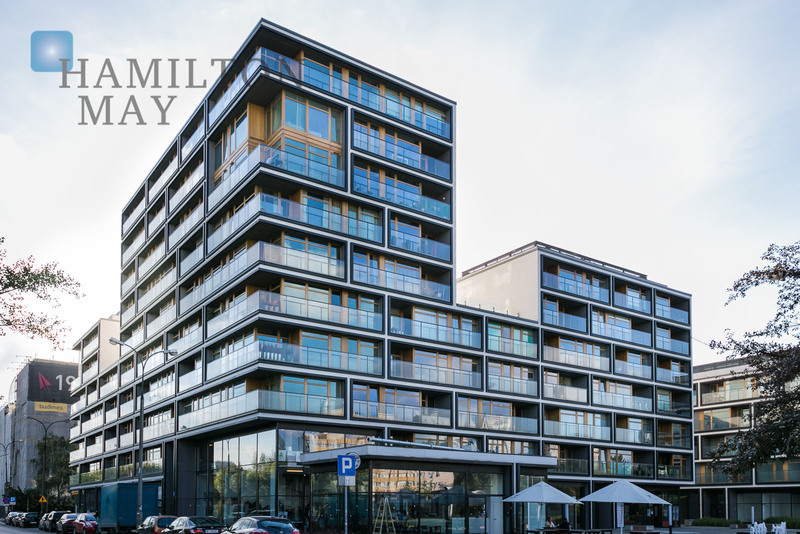 Hamilton May is pleased to present a unique apartment in the 19 Dzielnica development. The property is ideal for families with children or working professionals. Hamilton May presents elegant, brand new apartment in the 19 Dzielnica project. The property is fully equipped. Hamilton May presents a bright, spacious and modernly finished apartment of 55m2. The '19 Dzielnica' development is a large new settlement from a trustworthy PRO LIBRA developer. It has a very unique design and features large glass walls along with wooden panels. The investment's facade creates a unique blend of raw shape and warm, natural wood. The top floors feature glass terraces. Wooden, pleated blinds cover the loggias. The investment's 1st stage was finished in 2011 and features 2 buildings which come with commercial spaces located on their ground floors. The entire investment will comprise 10 buildings and 1700 apartments, developed in 6 stages. The investment appeals particularly to those who appreciate modern and luxurious apartments, while craving for urban lifestyle. 19 Dzielnica development is located in a quickly developing area of City Center, close to the new subway station Rondo Daszyńskiego. Well developed network of public transportation and vicinity of numerous schools, shops, restaurants, museums and other services are a huge advantage of this location.